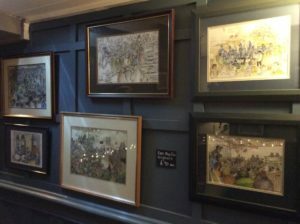 What do I see when visiting the Taggy Man – https://taggyman.co.uk/ – recently but a whole wall of originals for sale by local artist Ken Martin, many of them featuring us, performing in various venues across town. You can see an example of Ken’s work on our home page (click home above) – but go check out these pictures at the Taggy Man for a better sense of his work. And a nice pint too. 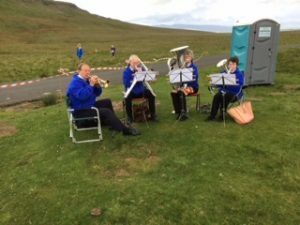 Our fantastic band hut boasts two rooms, so we can run two beginners sessions at once. 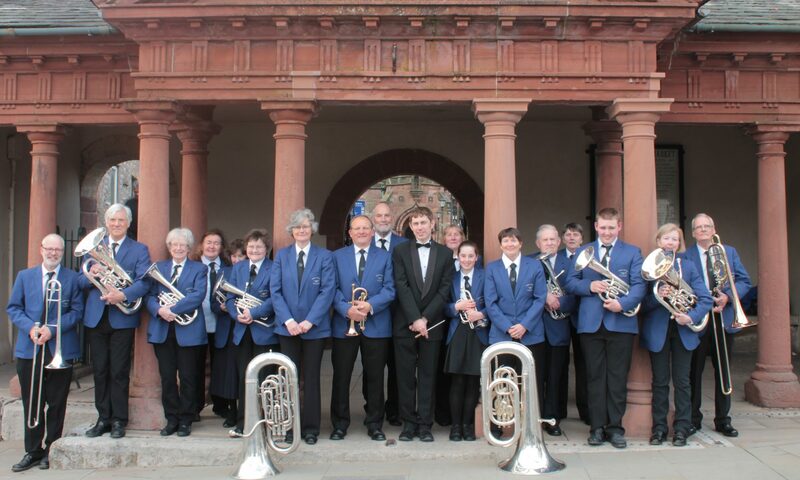 But the dividing wall is thin, and it’s been hard for beginners to concentrate on the notes they’re producing, when they can hear so clearly the music coming from their fellows next door. 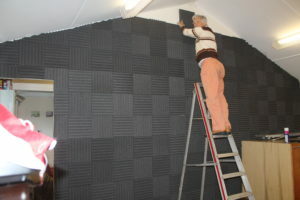 So we’ve invested in some soundproofing tiles to reduce the problem. An excellent use of the money we raise through playing, helping to bring on future generations of players. Gordon Kay and Dave Precious have been sticking each tile in place this week – as you can see Gordon’s reached the top today.